Construction and restoration of organ pipes. Over 45 years of experience in the international market. The Agf firm, located in Tuscany, is synonymous with the best artisan and scrupulous respect of the tradition. AGF offers the manufacturer of organs and organists a truly personalized product and the trustworthiness of restoration technicians with over 40 years of experience. In the preparation of the bindings only the best tin and lead; zinc and copper are used - moreover – they have the pliability necessary for working organ pipes, starting with the fusion and the turning of the sheets, continuing with the cutting, the rounding, the welding and the polishing which are all carried out with meticulous attention. Only with careful consideration and with the maximum attention to each phase of the construction can one obtain a product which meets the requirements of each customer. The tuning is personally carried out by Gianfranco along with the cooperation of an expert collaborator. He takes care of all the final phases, from the opening of the mouth and the testing of the organ. 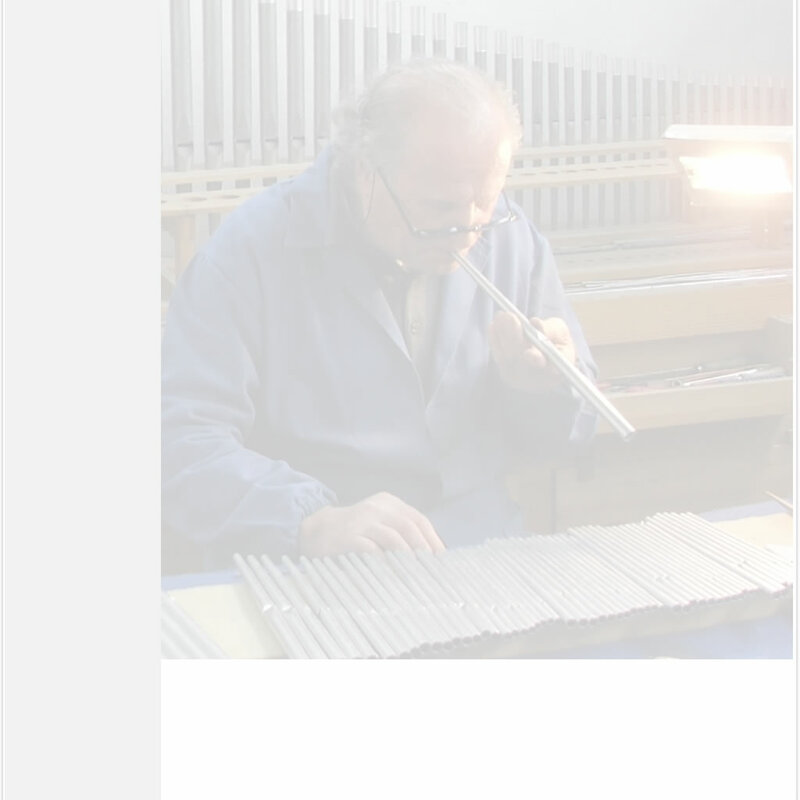 The experience accumulated from the many years in business, supplying organ pipes throughout the world to clients with different requirements, allows for the construction of ORGAN PIPES OF THE HIGHEST QUALITY. AN EXCELLENT MATCH OF APPEARANCE AND FUNCTION.